Private Estates are an excellent way to create and leave a legacy for your family for eternity. These structures are almost entirely customizable with an infinite number of options available. 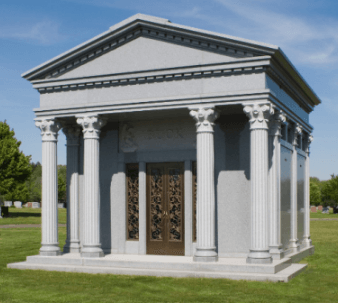 Featured here are just a few of the private estate memorials that we offer. We encourage you to discuss this memorialization option with one of our experienced counselors. Our counselors are memorialization experts and are specially trained to ensure you will receive dedicated service throughout the process. 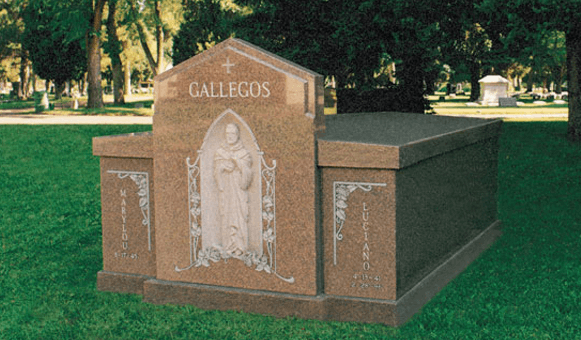 The process of designing this type of memorial involves the collaboration of you, your family, the counselor and Coldspring, our exclusive manufacturer. Every private estate is unique and the options are endless. These memorials celebrate family and individual legacies in a beautiful and highly dignified manner, creating a special intimacy that allows family members to reflect on cherished moments in an enclosed alcove protected from the elements. Inside, stained glass windows reflect beautiful colors on polished granite, as clerestory windows bring in generous light. Contact us for more information on Private Estates and pre-planning with us. PRIVATE ESTATES® is a registered trademark of Coldspring. Washtenong nor its affiliates claim rights to ownership of any intellectual property not owned by Washtenong Memorial Park, MMG or its affiliates. All images are property of Coldspring and only used for advertising purposes with permission.